This made the birds fly incredibly fast, and high. So how did the small bores (one 16, three 20s and three 28s) that were used that day, cope with such terrific birds? 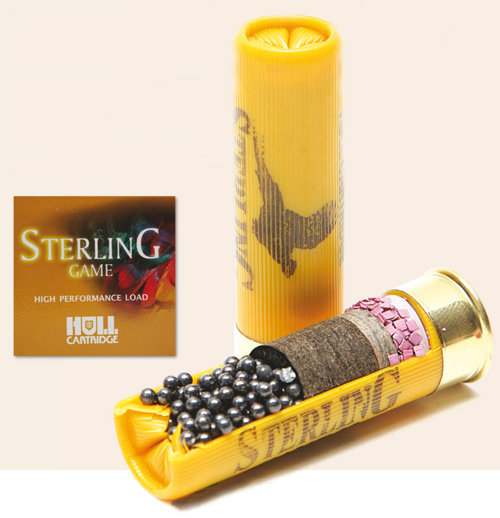 On the 20-bore front, we had another Hull product in the shape of Sterling Game, Gamebore’s Traditional Game and RC’s now very popular SIPE. These three were all being used in 28gm format and coincidentally, all with 5 shot. Again the Sterling Game has been improved as part of Hull’s continuous programme of improvement and is smooth shooting with plenty of performance. 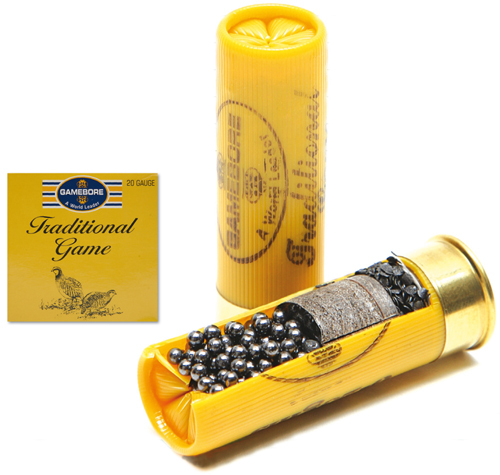 This cartridge was being used in an old English side-by-side as it is somewhat gentler in the recoil stakes than Gamebore’s high performance Pure Gold load. The use of a progressive powder allied to a genuine 65mm case made this an ideal combination for the older, lightweight shotgun that made its appearance for this day In Oxfordshire. 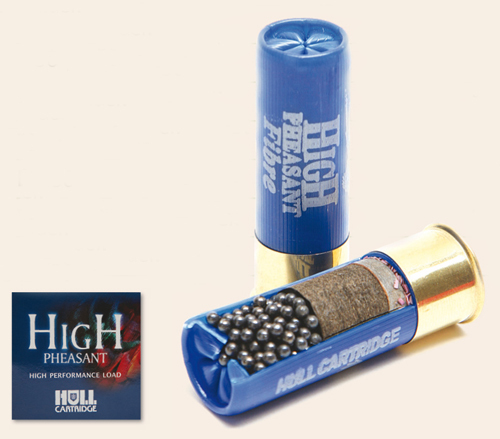 This new 16-bore load from Hull Cartridge really did the business on this particular day killing high birds as clean as a whistle. Just like the Three Crowns cartridge it now replaces this shell is one that can be used in English guns with 2.1/2in chambers. It’s a 1oz (28gm) load filled with either 5 or 6 shot delivering significantly higher performance than its predecessor with a muzzle velocity of 1450fps – a top notch cartridge that’s also smooth on the shoulder. And so to my favourite trio of 28-bores! 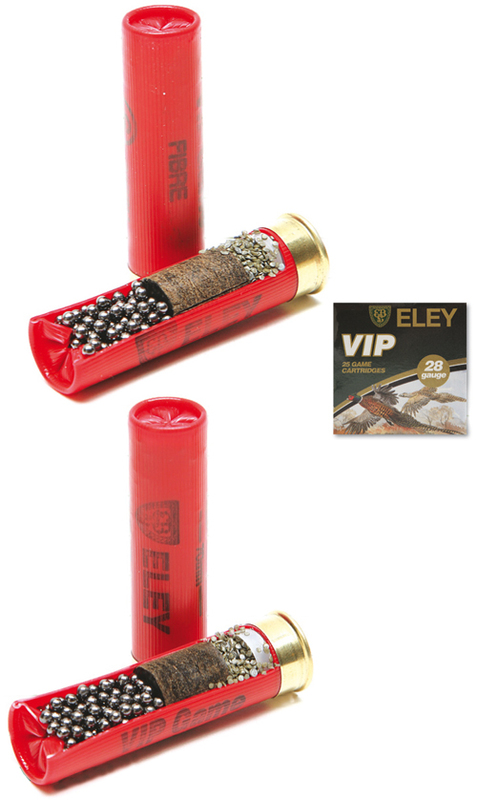 One of the guests was using Eley’s 21gm fibre load in 6 shot, a cartridge re-branded last year as a VIP load rather than the Grand Prix it replaces. Having the VIP moniker means that by default, its speed is 1425fps, but I haven’t tested this and I really think I should. Without wishing to cast aspersions on the pilot’s ability, I didn’t see this combination kill convincingly and it may be that the slightly heavier payload of its grown up sister – the original VIP 24gm – may have been a better bet. The latter was being used by my host’s father, but I couldn’t help notice his eldest son wipe his eye (albeit with a 20-bore) on more than one occasion on that memorable last drive at some amazingly sporting birds. 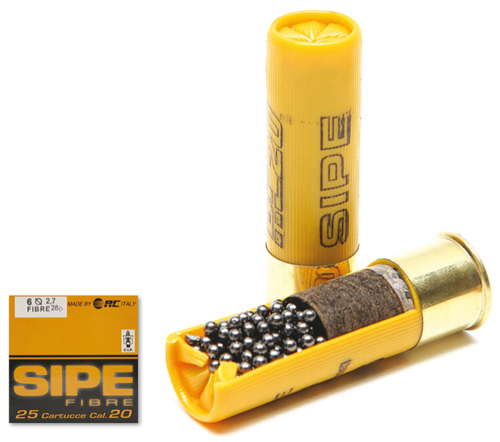 This shell is now easily the best selling 20-bore cartridge, and with good reason. Okay, you need to use an O/U capable of soaking up that bit of extra punch on the shoulder but this cartridge kills like no other – what more is there to be said? Oh, apart from the fact that compared to the competition, it’s also pretty competitively priced. 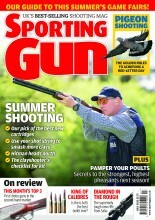 As usual this was my 28-bore cartridge of choice – one loaded with 24gm of continental 6 shot in a plastic wad. I am absolutely convinced that plastic does make a tangible difference, and particularly where the smaller bores are concerned. 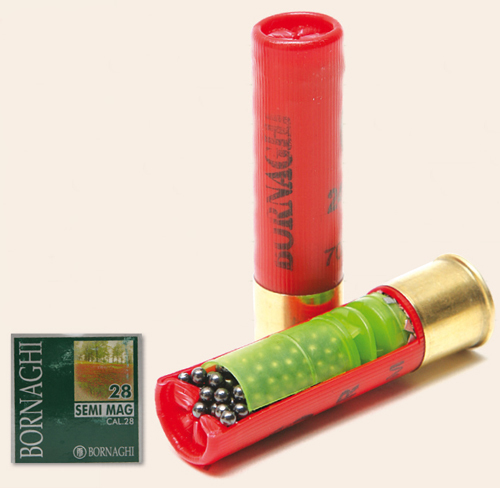 These Italian shells are really crisp and sharp with killing power and, I’m sure, helped me kill my fair share of the final bag… 29 very sporting pheasants. Would we have killed more birds with 12-bores? I don’t think so, the team shot well and returned a respectable kill ratio considering the quality of the birds that day. The best thing about it (apart from my trip down memory lane) was that the birds were all wild and we even saw a brace of English partridge (strictly off limits I might add) on ground I never thought suitable for this little bird. I can only hope I am fortunate enough to be invited back another day.